The Domaine de la Massane extends over 12 hectares on the foothills of the Mont Ventoux. Laurent Trazic is a winegrower convinced of the importance of nature and the terroir in the production of a great wine. He exploits his vines in organic farming and in the strictest tradition: no herbicides, insecticides or synthetic products and hand harvest. This method of harvesting makes it possible to select the best grapes, those that will transmit the exceptional character and minerality of this particular soil. The wines of Ventoux appellation elaborated at the Massane can be tasted in the cellar, in Bedoin. The Mont Ventoux, sometimes called the Giant of Provence, is home to vine growing on its foothills since Antiquity. Today, the Ventoux vineyard has gained its reputation thanks to the meticulous work of passionate and committed winegrowers. Classified as a "biosphere reserve" by UNESCO, the terroir of Ventoux benefits from an exceptional biodiversity and a particularly rich soil. The result is the wines classified in AOC flexible and aromatic, heirs of a delicate mix of mountain and Mediterranean. Many winegrowers manage their estate in organic farming, as is the case in the Domaine de la Massane. 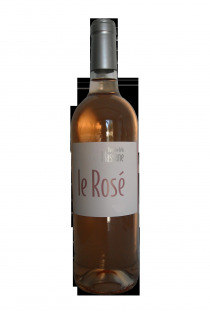 The Ventoux Controlled Appellation of Origin brings together a wide range of wines: red, rosé, blanc. The wines of Ventoux are characterized by their fruity and freshness. The red wines of the AOC Ventoux, the majority in the production of the vineyard, reveal intense aromas of red fruits and spices raised by animal notes. 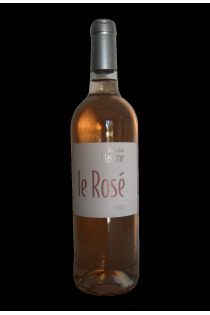 The rosé wines of the Ventoux evolve on more round notes of cherry or raspberry. More confidential, the white wines of the Ventoux appellation seduce tasting with their aromas of flowers and citrus. A great name for the Ventoux vineyards, the Domaine de la Massane vinifies its vines in all the colors of the appellation.